Remember when I used to post here 3-4 times a week? I miss those days! Now I’m happy to just get my weekly recap out. Honestly, it’s just harder in the summer to stay inside to write at the computer. I should try to write ALL my posts in the winter and just post them throughout the summer! 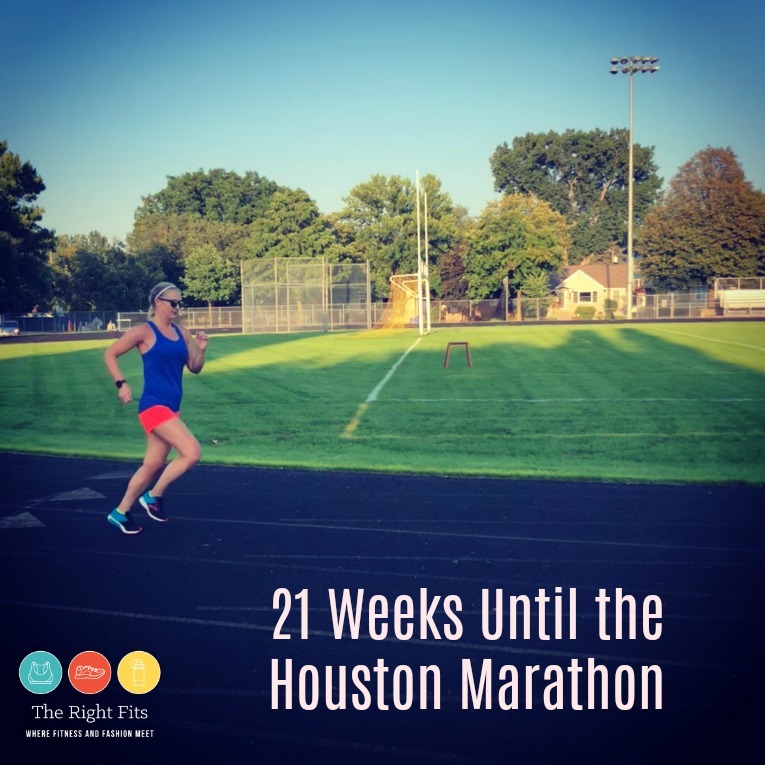 Well, at least I’m still checking in here once a week with my weekly recap of recovery from my broken tibia/fibula and training for the Houston Marathon in late January. Tuesday: Easy 4 miles with my friend Vicki and another coworker of ours. 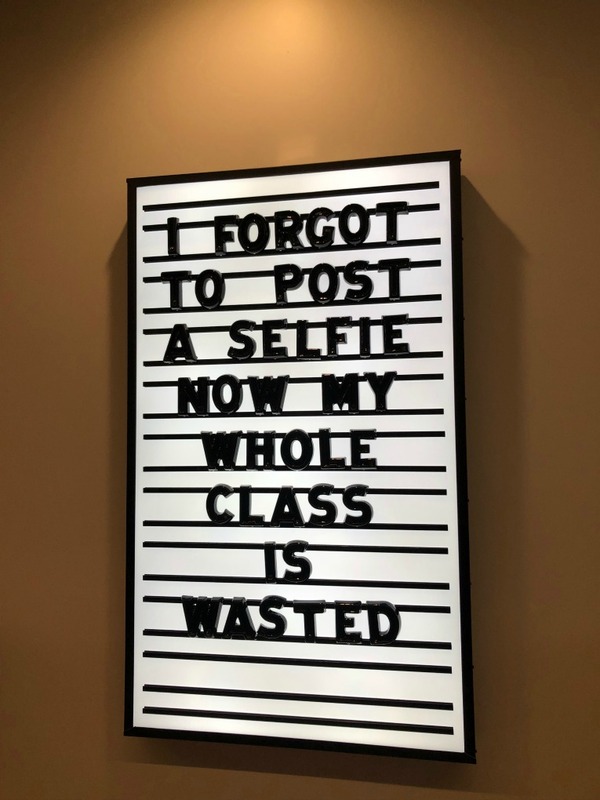 After work, I squeezed in a 6:30 pm class at ALTR (50 minute HIIT/strength class). They had this sign posted outside the studio, ha! Wednesday: I ran after work with my friend Vicki. 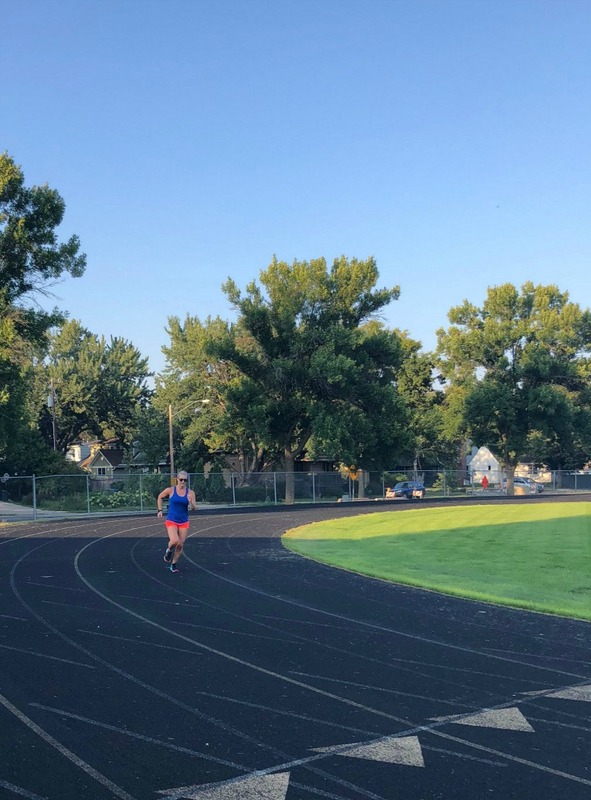 She had found out that the Southwest High School track is open to the public in the evenings, as long as there is not an event going on. You just have to bring an ID and check out a key. However, the night that we went there, the gate was already open for football practice. Since there was practice going on, we stuck to one half of the track. 3 mile warm-up (outside of the track in the neighborhood), 10x200m repeats with 200m recovery, 3 mile cooldown. 8 miles total. There’s something about running on a track that makes you want to go faster! It also helped that it was a much cooler, less humid day than it has been lately. A welcome reprieve, though you won’t find me complaining about the hot summer weather. One doesn’t break their leg on the ice during the summer! Thursday: I had 7 miles on my schedule, so I decided to run commute to work! I’ve mentioned it before, but I am pretty lucky that Dustin works in the same building as me, so I put my work stuff in his car, ran to work (plus an extra loop of Lake of the Isles) and then grabbed my bag to head to the small gym in the building to shower. So happy to be run commuting again! My run commute takes me through the Sculpture Garden- so pretty! Friday: I had 30 minutes of easy running on my schedule, so I brought Tilda along. It was raining for most of the run but fun. I kind of liked the short morning run! Tilda is SO over the post-run selfies, ha! The only bad part of that run is my hair tie broke. 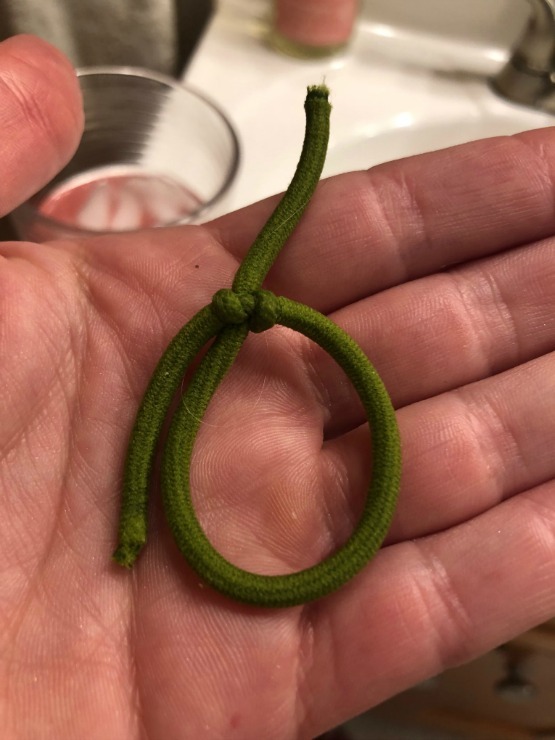 Fortunately I caught it on its way out and tied it in a quick knot. I could not run with my hair down, it would drive me nuts and end up a knotted mess. Any of you run with your hair down? I understand if its a short style, but I occasionally see a woman out running the lakes who runs with her long hair totally loose. I don’t know how she does it! 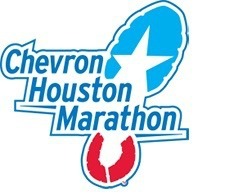 Saturday: Another double digit long run! Only the second time I’ve done that since breaking my leg- so exciting! 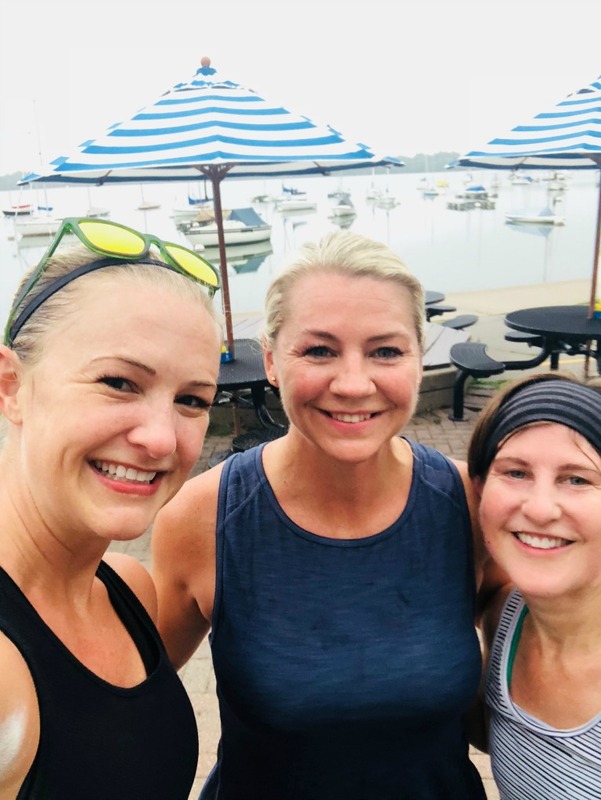 I met my friends Vicki and Tricia at 6:45 am for 4 miles easy (9:30-ish), 4 miles ‘moderate’ (8:30), and 2 miles easy. 10 miles total at a 9:05 min/mile pace. It felt pretty good. Maybe my running fitness is coming back…slowly. My leg felt great after the run, no pain! But then I think the rest of the day, I overdid it. 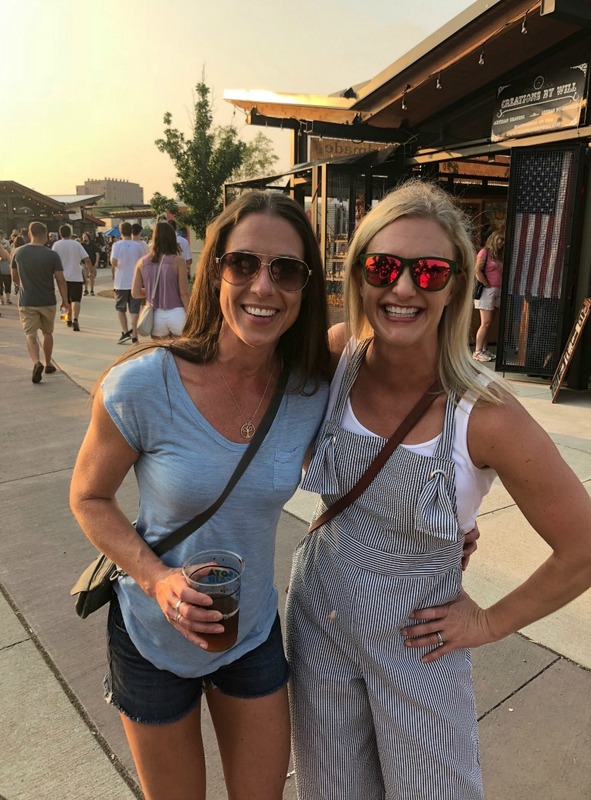 We went stand-up paddle boarding on Lake Nokomis for over an hour, then headed to the Minnesota State Fair, where we walked around for several hours and then stood for a concert that went until 11 pm. I was wearing birkenstocks, which are somewhat supportive, but that was just a really long time on my feet. By the time we got home, the recovering ankle was SOOO swollen and sore. I was limping and could not wait to ice it. Was it the footwear? The running? Probably all of it together was too much. Sunday: There was a tendon on the outside of my ankle causing the most pain. 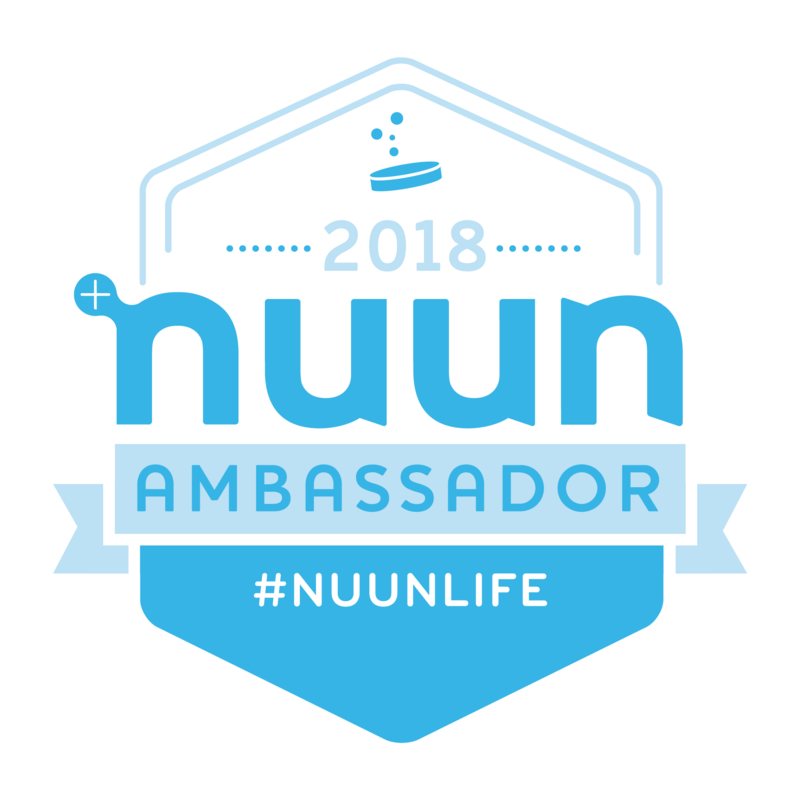 I iced it Saturday night and again in the morning, did lots of stretching, and it started to feel better by the time I was supposed to meet some friends for a 9 am run. I decided to keep those plans and just see how it felt. I was meeting Vicki and my friend Margaret (who I am going to start coaching!) for an easy 5 mile run. The ankle tendon didn’t feel great during the run, but I’m hoping that with some TLC it will be back to ‘normal’ again. Tomorrow is a non-running day, so hopefully that helps. Summary: 40 miles of running, 1 ALTR class, 1 solidcore class, stand-up paddle boarding, and lots of walking at the fair. Anyways, back to the fair. Iowans and Texans can probably relate; the Minnesota State Fair is a BIG deal. It’s huuugee and everyone goes. In fact, I’m taking a day off of work this week to spend a full day there! Our fair isn’t just 4-H, farm animals, and corn dogs. There’s so much more! 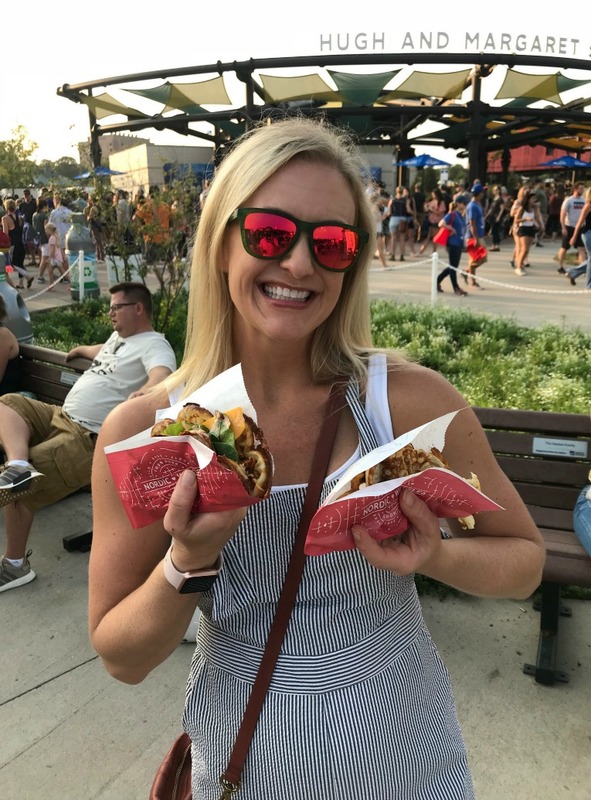 And most importantly, there is actually always a ton of great foods- yes, we have all the typical fair food, but there’s always 30 or so new food items every year. 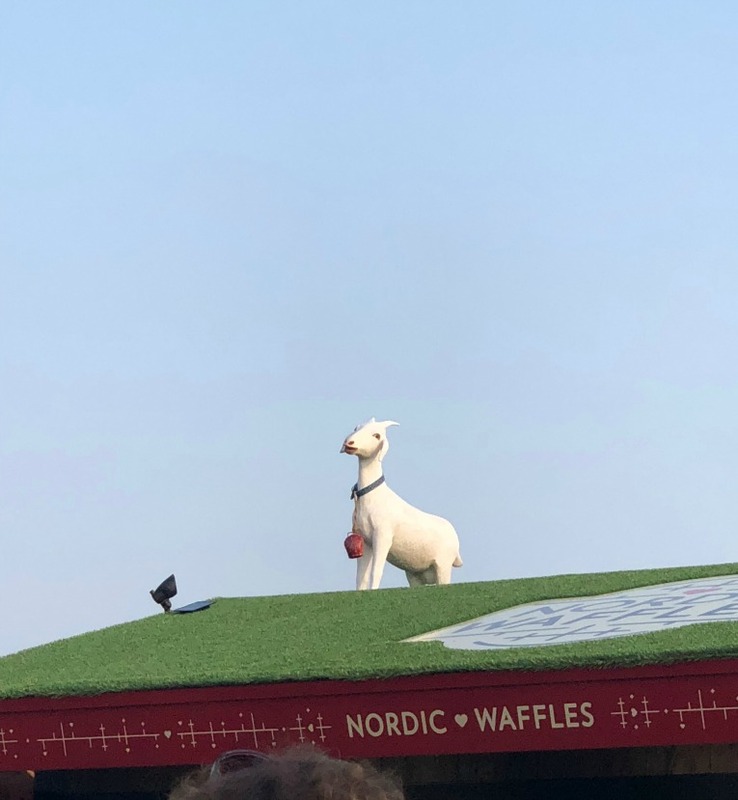 For example, we tried the new Nordic Waffles stand. We had both the vegetarian waffle and the S’mores waffle. Delicious! We also tried the Swedish Meatball Smorgas, also delicious. And a few local craft beers, of course. We ran into a ton of people we knew, including Ericka from EDK Training, who you may remember from the heart of my broken leg recovery. 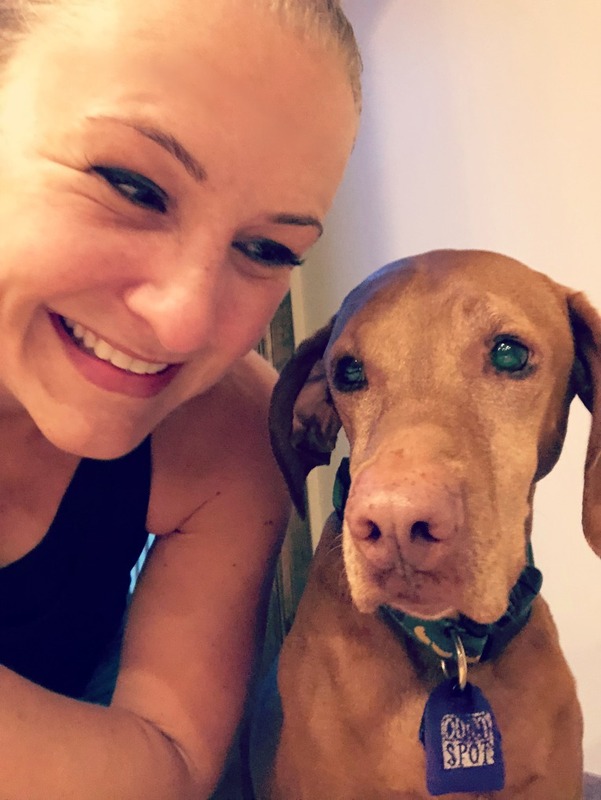 She is a personal trainer who gave me customized workouts that I could do, even with a broken leg. She’s awesome! 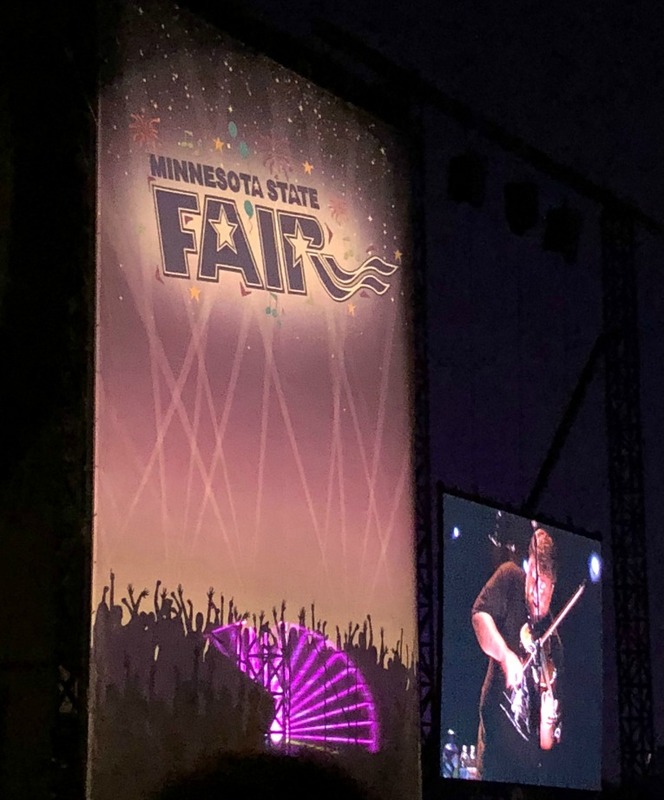 The main reason we were at the fair on Saturday was to see Trampled by Turtles, a fun bluegrass-y band from Duluth MN, who have become quite popular nationally as well! Check them out if you haven’t already, they’re awesome! In other non-running news, TWO of my sisters got puppies this week! 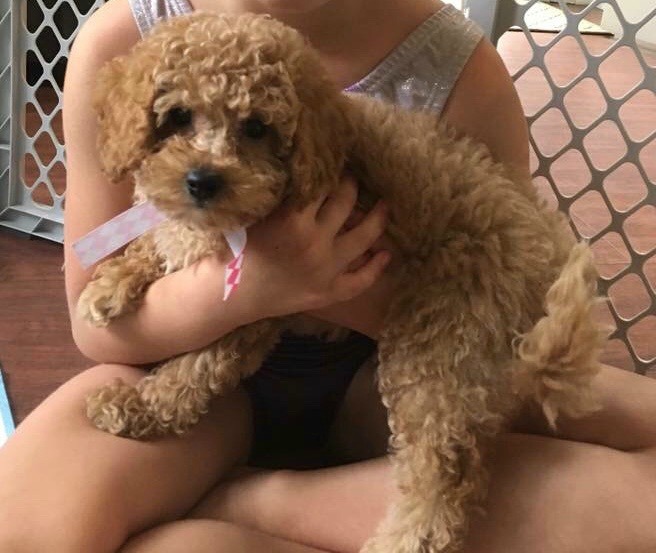 My sister Cresta (who lives here in Minnesota) got a little malti-poo named Lola. She’ll get to be about 10 pounds and looks like a teddy bear! You can follow her at minnesota_lola on instagram. And then my sister Erin who lives outside Chicago got a Vizsla puppy (same breed as our dog Matilda) named Ollie! You can follow his adventures at Ollie the Big Red Dog on instagram. So much puppy cuteness happening, I love it. That’s all I have for this week. 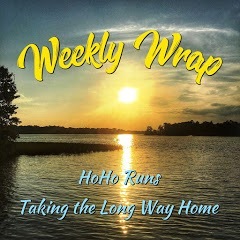 Thanks for reading and be sure to check out all the other great weekly recaps that are a part of HoHo Runs and Taking the Long Way Home ‘s weekly recap link-up! Great update – love the photo of you and Matilda. I would guess that the foot pain was just “time on your feet” – that ended up being a long day. But you’re clearly on top of it. Great week of running – nice to hear you are able to run commute again! Thanks Eric! I am hopeful that you are right about the foot pain. It feels 100% better today after resting.. So only 40 miles this week? LOL! Nice comeback! I loved your reference to Al Johnsons–it’s interesting because we see so many cars from MN up there and we always marvel that Minnesotans will travel that far when you have such a beautiful state! Have another fantastic week. You are coming back very nicely! 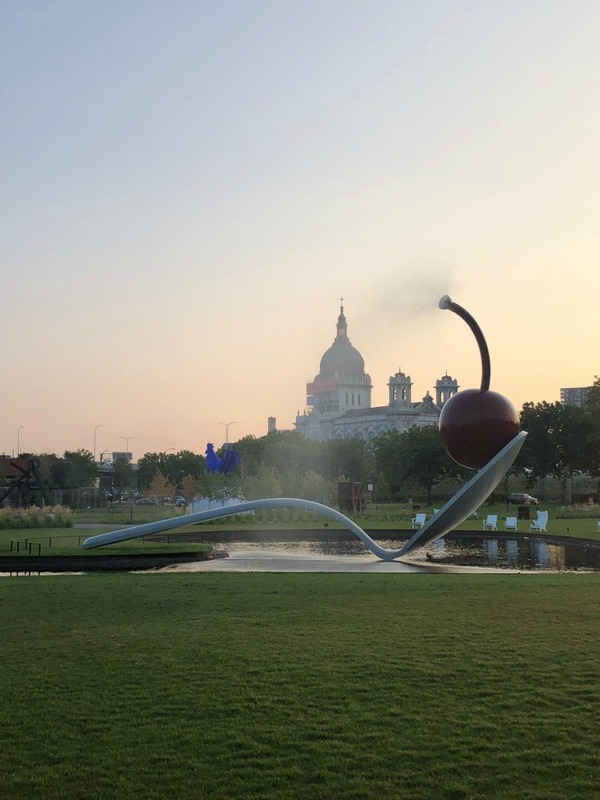 The Sculpture Garden in Minneapolis has tons of great art- but the spoon and cherry is the most famous as a city landmark. I had to laugh at your comments about the Fair 😉 There is so much fried food (at least at the Iowa ST Fair), but there are some really good healthy options as well. A new food stand (at least it looked new to me) was an apple-themed vendor…all kinds of unique apple dishes and snacks (I still opted for the corn dog and funnel cake, though). Haha, well, there’s plenty of unhealthy food at the fair too! But I know that Iowa and Texas have huge fairs as well! Awesome job this week, especially on your double digit run! I would love to try a class like Solidcore – it seems super interesting. I love the outfit that you wore to the fair – super cute! I can’t get enough of those puppies! One of my biggest pet peeves is people who run with their long hair down. I can’t stand to have my hair touching my face or neck when I workout. It’s just sooooo hot and uncomfortable. I don’t get it! Nice week of workouts! And I totally get the fair. When I lived in Michigan and Minnesota any fair was a big deal. So much fun! I hear ya! Running with your hair down…no way! Interesting that you had surgery on that tendon…How come? A running injury or something else? I think you’re right that it was the balancing on the SUP and then all the standing. It feels a lot better today! Thank goodness! Great work and hope the tendon is feeling better by now. Sounds like it was just too much weight-bearing all in one day and I’m sure no lasting damage was done. I have my hair in a chin length bob and I am queen of the buffs, either as a hair band or tucking all my hair in it. I cannot bear strands touching my face – arghhhhh! What a great week both running and life wise! Run commutes are my favorite way to add miles to the week and relax. I also totally hope that you can take a picture of the intersection next time and claim it back as a positive. 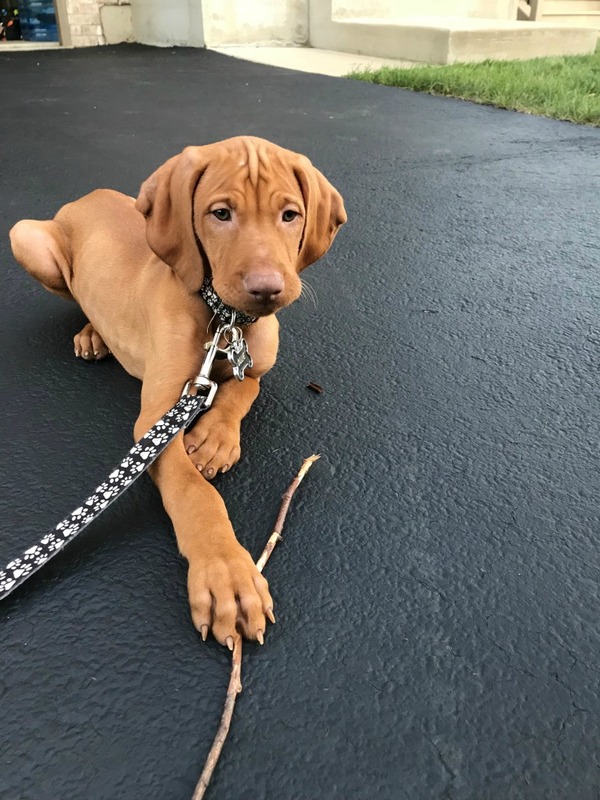 I’ve been looking at dog breeds and Vizslas keep coming up as the top recommended for me… it’ll be at least a year before I think I can get one but I keep looking at puppy pictures now haha. Yes!!! You would be a great vizsla owner, though we couldn’t run with Matilda until she was a year old…But she’s a great running companion now, even in the rain! My hair tie broke at the gym this week too and I had to do the same thing! I tied it up and put it back in my hair but it definitely didn’t hold as well. My hair’s on the short side and I still can’t run with it down. Exactly! I was just glad I didn’t lose the hair tie or my run would have been ruined! Oh my goodness! Those pups are ADORABLE!!! I know, right? Soooo cute…! Yay for a second double digit long run! A broken leg is no fun. Glad it seems to be doing better. Sounds like you had a solid week in training! Thanks! Feels good to be back at it after so long off! You had me at smores waffle . . . seriously, though, my hubby isn’t a crowds person so we don’t usually do fairs. We did sometimes when we lived in Austin, mainly because they had some good singers at the fair! I hope that ankle is feeling better now. Good for you for running where your accident was! Couldn’t have been easy. Ah, puppies . . . it’s been a really long time since we’ve been around a youngun (Bandit’s around 10, Lola’s 12, and Gizmo’s 17). Puppies are a lot of work….but so darn cute! I’m sure Austin has great music at their fair! I hope your sore ankle tendon recovers quickly. Your sisters’ puppies are adorable. Matilda’s got some cute cousins to love and enjoy! Thanks Debbie, she sure does!